I have a family member/friend (who shall remain nameless). She re-gifts ALL THE TIME! Personally, I see nothing wrong with it. You practice the art of appreciation by accepting the gift given to you. Then, you practice the gift of giving by forwarding the blessing to someone in more need. Your kids get two of the same toy for their birthday or they simply have too many toys? You store a few brand new gems in the closet and give them to a more distant recipient for their birthday! It’s brilliant! Everyone wins! In all seriousness, the concept of re-gifting gets me to thinking. I have some things about me that rub people the wrong way. For example, I’m a know-it-all. When someone says something that I know to be wrong or untrue, I rarely miss the chance to correct them. I’m also defensive, so when someone else goes to correct or question me, I have to justify myself first. Let’s not forget that I can be very assertive, so when there is a difference of opinion, my input on the debate can be perceived as an attack instead of just passion lol. I often see these things as personality flaws and after encounters with loved ones (or even strangers) can feel guilty when they show themselves and cause dissension. 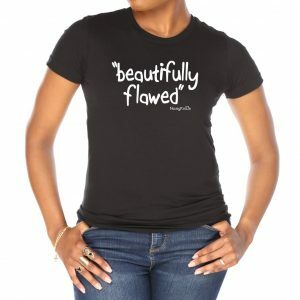 But is it possible that these “flaws” are actually gifts in disguise? Think about it. I’m a teacher. I have to know a lot in order for students to trust what I’m teaching, I have to know my content. I have to correct their mistakes (gently…most of the time). My hearts desire as a teacher is for them to leave me smarter than they came. I want all of my students to be confident enough to make mistakes with dignity, seeing them as the opportunity to learn, so I have to know some stuff! I also defend my family, my friends, and my students. No one will speak ill of them in my presence without me justifying or providing a level of compassion. Even if they are in the wrong, even if I don’t agree with them, I will defend my people. In my profession, in order to get students to care, I have to be assertive. In my marriage, to show my husband how much I love him, I have to assert myself. Passion is strong and necessary when it comes to getting people to believe you. Knowing what I want is what allows me to guide my students. Putting myself at the front of problem-solving and organization helps me maintain my end of the marital bargain. When used properly, everything that God gave us can be used to His glory. You have some personality flaws. They rub people the wrong way. Some of the time we all need to definitely work on those “flaws”, but that’s another conversation. However, most of these imperfections simply need to be re-gifted. Instead of beating ourselves up about it, we can choose to use them for the purposes God intended. Some of you talk too much, yet God needs you to be a voice for the meek. Some of you are aggressive, but God needs you to stand strong in your faith and lead others to Him. Some of you are passive, so people call you a pushover; but God needs that gentleness and understanding to help welcome others into the fold of his love.